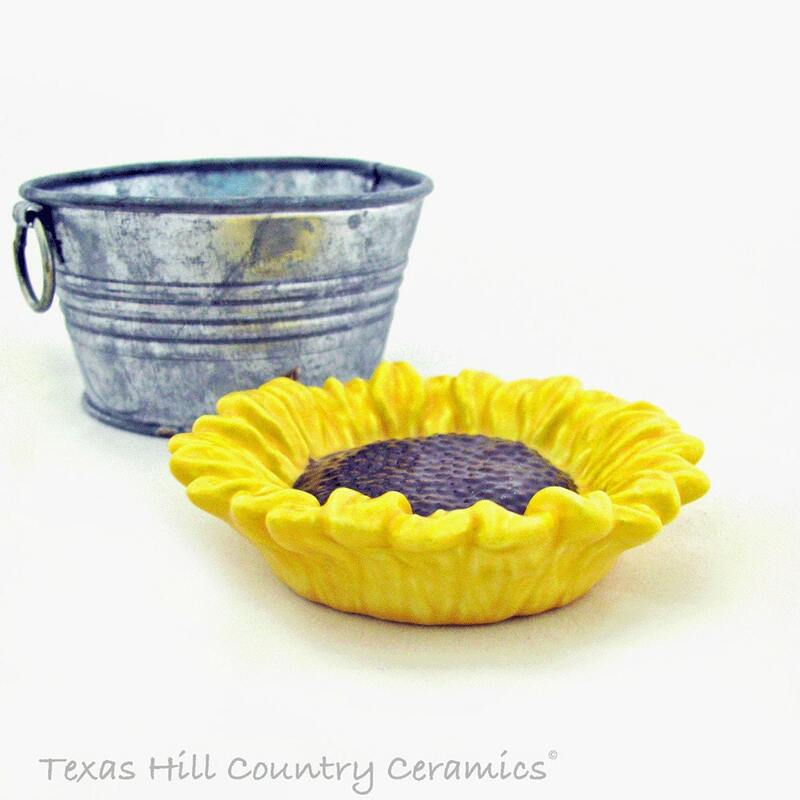 This ceramic Sunflower will add a bright spot to any area of your home and has many uses. It can be used as a small spoon rest, tea bag holder or teabag rest or universal catch all on your desk or dresser or to hold trinkets or wedges of lemon or lime. This listing in for 1 sunflower in yellow. All ceramics are made of earthenware clay in my studio located in central Texas, USA. Each piece is hand cast from a ceramic mold for uniformity and kiln fired. 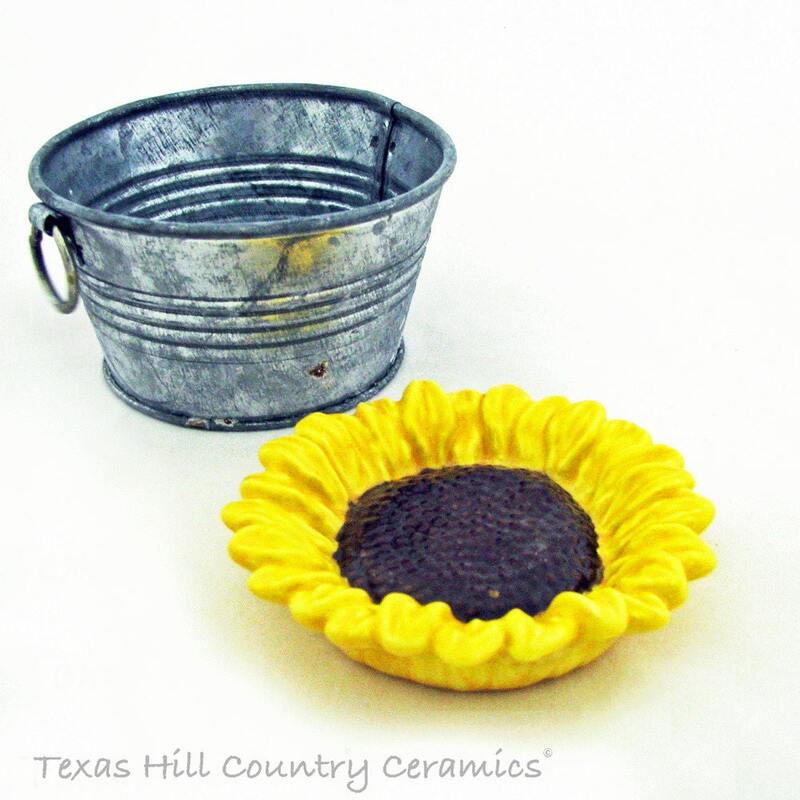 The detail of each individual piece is hand painted and the non-toxic glaze is applied with a brush for durability. This ceramic piece has many uses. Not only can it be used as a tea bag holder or spoon rest it can also be used as a desk accessory keeping paper clips or staples easily contained. It can also be placed near a liquid soap or lotion dispenser to hold rings or small pieces of jewelry such as a bracelet. 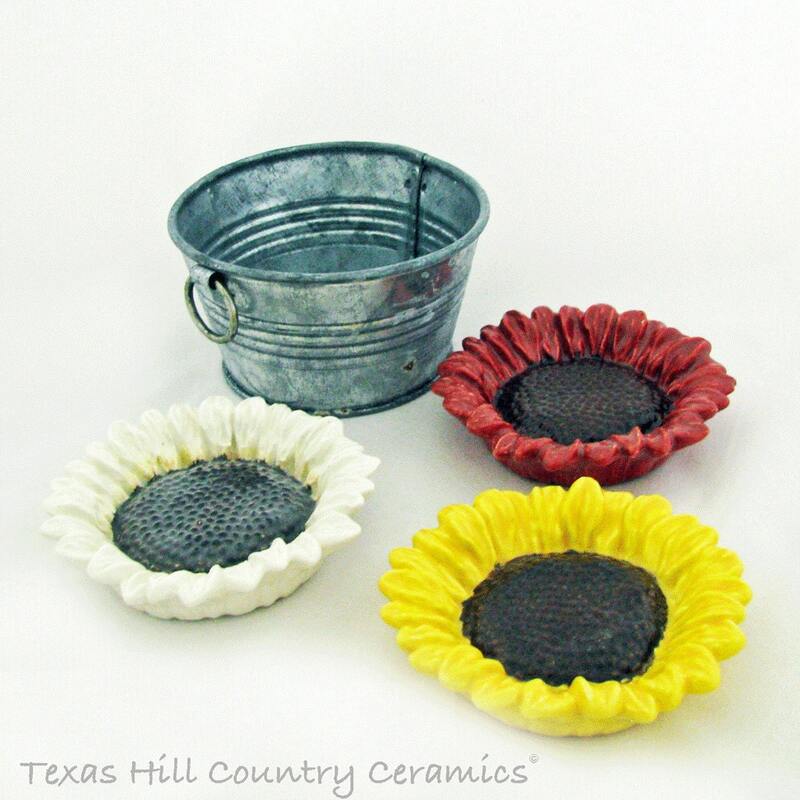 Keep one next to the kitchen sink to hold a sponge or scrubbie. It can also hold candy for people or treats for your favorite canine or feline. This piece can also be used as a table place setting accent at any meal, it can hold a bit of butter, cranberry or a favorite after dinner mint. I’m sure there are many more uses you can come up with your imaginations the limit. Love, love, love these! Such a cute idea! The packaging was so unique and special I think I am going to hang onto it. Seems wrong to throw away something so special!